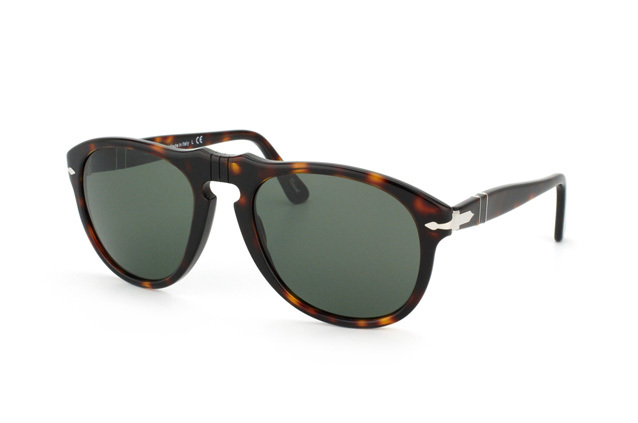 The Persol PO 649 24/31 sunglasses for men are a classy blend of retro chic and contemporary confidence. The full-rim tortoise shell frame harks back to the mid 20th century, while the famous silver arrows at the hinges lend the sunglasses a dashing contemporary touch. The nose bridge has a fashionable keyhole shape, and the green lenses are made out of high-quality glass. 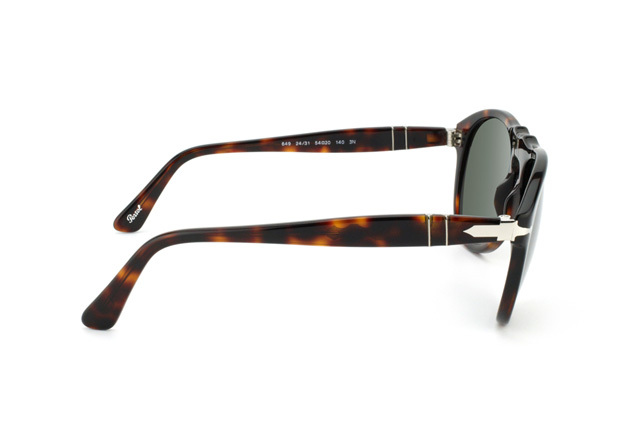 For over 90 years Persol has been synonymous with fine Italian hand work and a beautiful blend of form and function. The models are easily recognisable thanks to the famous arrow symbol and the retro charm that brings earlier epochs to mind. The Meflecto System, developed at the end of the 1930s, helped create the first widely available flexible temples which ensure a comfortable fit for every face. 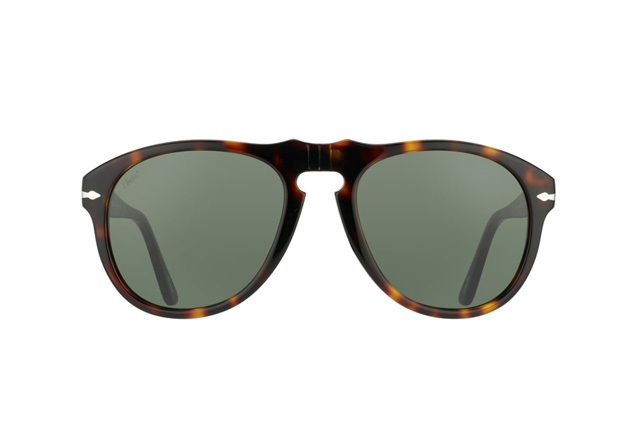 Persol is a cult label that should not be overlooked.